My experience with the FitDesk came about at just the perfect time. 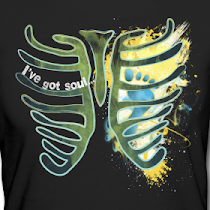 I had just been diagnosed with Multiple Sclerosis, and even though it wasn't a surprise as it was just an official diagnosis for what I already suspected, it really threw me for a loop. I have been struggling with debilitating fatigue for months now and yet still want to keep moving. I need to for my sanity as well as my body. I of course started researching and holding onto the idea that I wanted to stay fit. Sometimes it feels better to move instead of sit. I do a lot of sitting and standing while surfing the web, watching videos, writing blog posts and reviews, and general learning online. In comes the FitDesk. I can do all of the just mentioned activities while moving! The fear of having MS is that it will someday take away my ability to move. Research shows that patients who are more fit have less symptoms. Even if I were running tons of miles a week I would love to have the option to move while I spend so much time doing tasks that typically keep one immobile. Every bit of movement counts! Research is even showing that being sedentary increases your chances of death. According to a study in the March 26 issue of Archives of Internal Medicine, researchers discovered that people who sat for 11 hours a day or more were 40 percent more likely to die - from any cause. The researchers also found the odds of dying were 15 percent higher for those who sit between eight to 11 hours a day compared to those who sit less than four hours a day. I love setting this example for my son even though I am not able to work out as much as I would like to on some days, they still see me moving my body. Its easy to use and was incredibly easy to assemble. It only took maybe 15 minutes to put together from unboxing to riding. That huge box, was a huge hit in this house of boys! 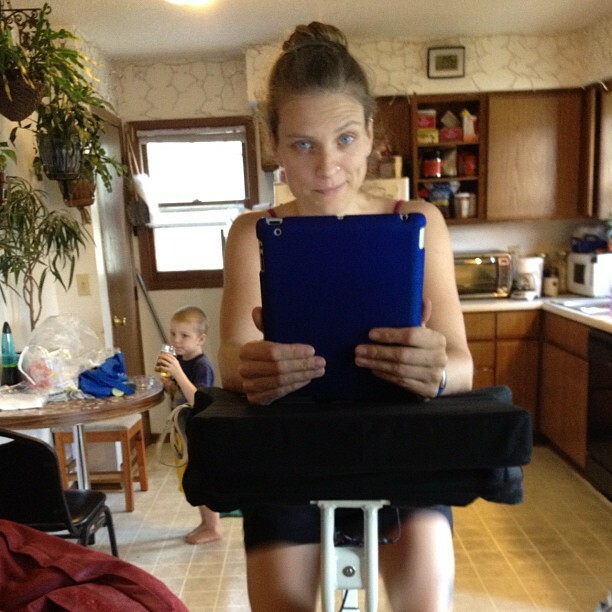 I use the Fitdesk while using my iPad, iPhone, laptop, or just watching a show with the family. If I want to relax, and I love a good SciFi show, I can still have my blood pumping. This review was partially written while watching Star Trek Deep Space Nine! Not only can I move the FitDesk around the house or even out to the deck, it even serendipitously fits perfectly up to my standing desk of which I use far less often now that I have other ways of using my computers. 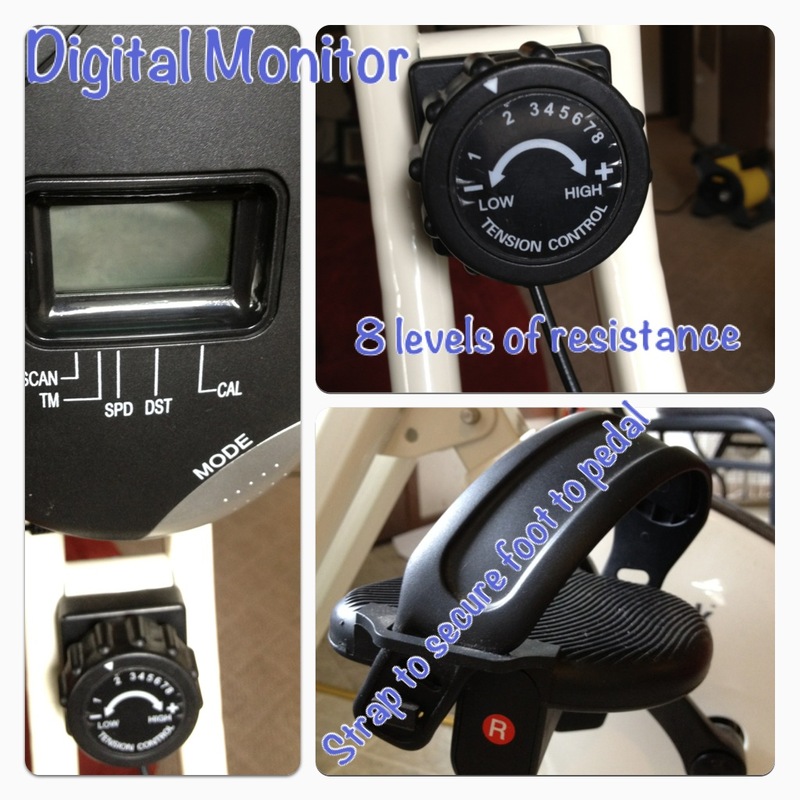 There is a digital monitor that comes with the FitDesk that is removable. It measures calories burned, time, distance, and speed. It attaches to the padded desktop with velcro. There are 8 levels of resistance to choose from and the belt driven design ensures a quite ride. I remember my mother riding her huge and very loud Aerodyne stationary bike when I was a kid!! A nice sized pocket on each side of the padded desktop is perfect for my glasses, storing the large rubber bands that are included to secure a laptop to the desk, which is brilliant by the way. 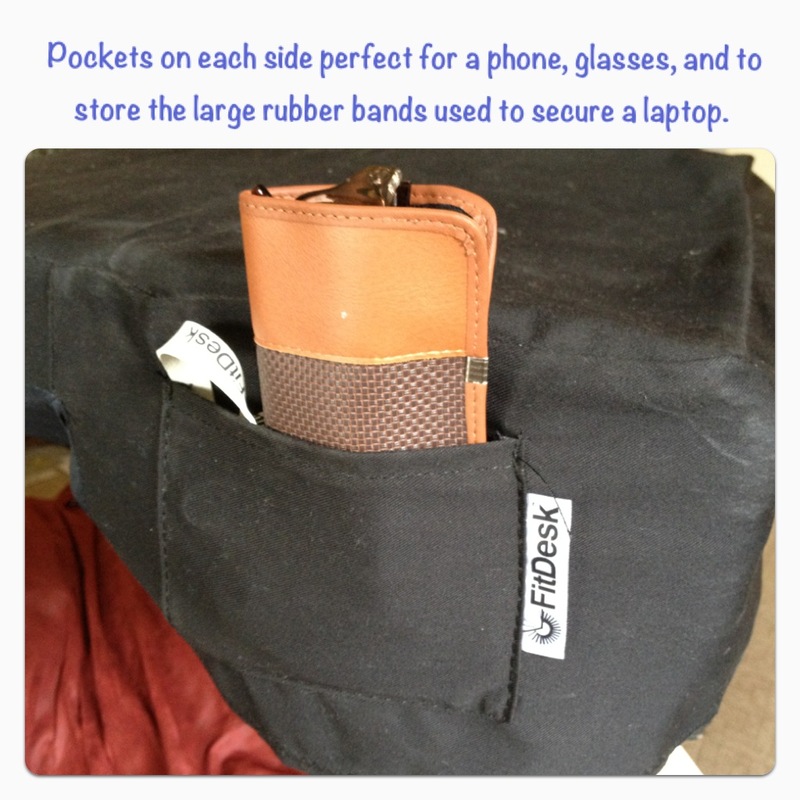 The pockets also easily fit a phone or remotes. Everything you need right there within reach. The cover is removable and washable. 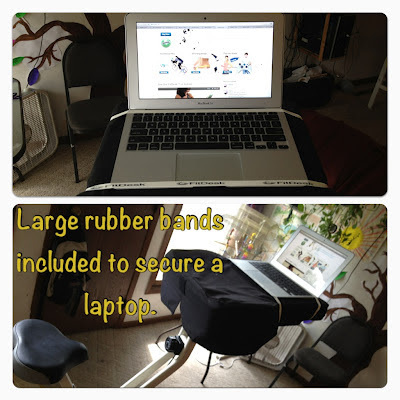 The rubber bands are easy to use and give that added piece of mind that a klutz like me won't make a sudden movement and dump my laptop on the floor! Easy to fold to save space, the FitDesk is great for smaller spaces that you might now want always occupied by exercise equipment but where you want to ride it. For example, our living room is quite small. We have made the space suited for many uses. We have LoveSacs instead of couches and tables and chairs that are all easily moved around. The FitDesk fits right in to our open space ideas at our home. I could see using a FitDesk in an office making having to go to a 9-5 job not quite so bad. Especially for those jobs that keep us desk bound. I do the same thing just at home and I want to move while I am in front of the computer all day too. 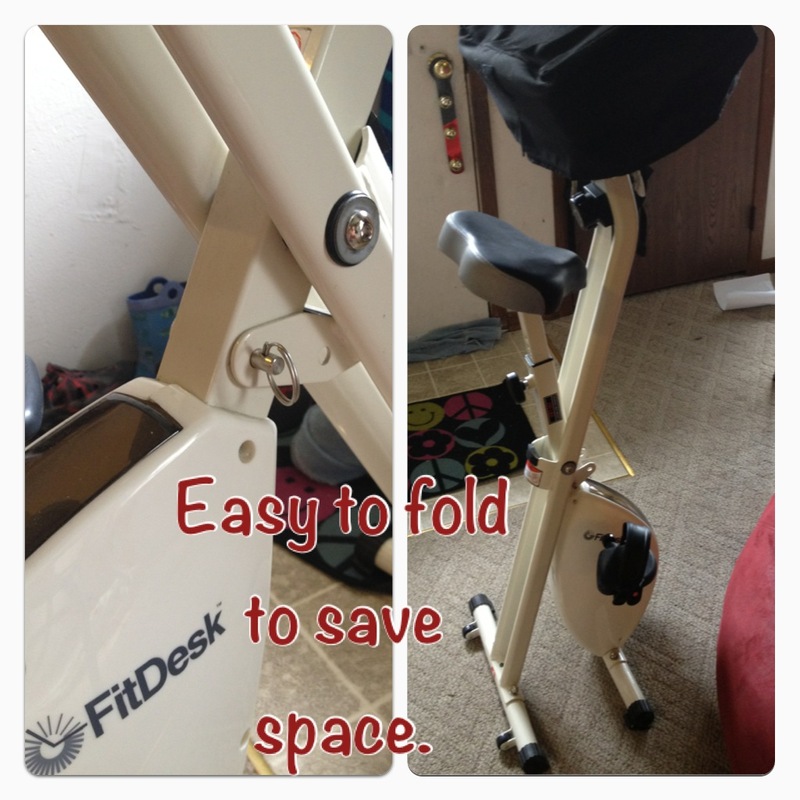 Its nice to fold up the FitDesk and move it aside when not in use. It fits easily in a closet or just in a corner. 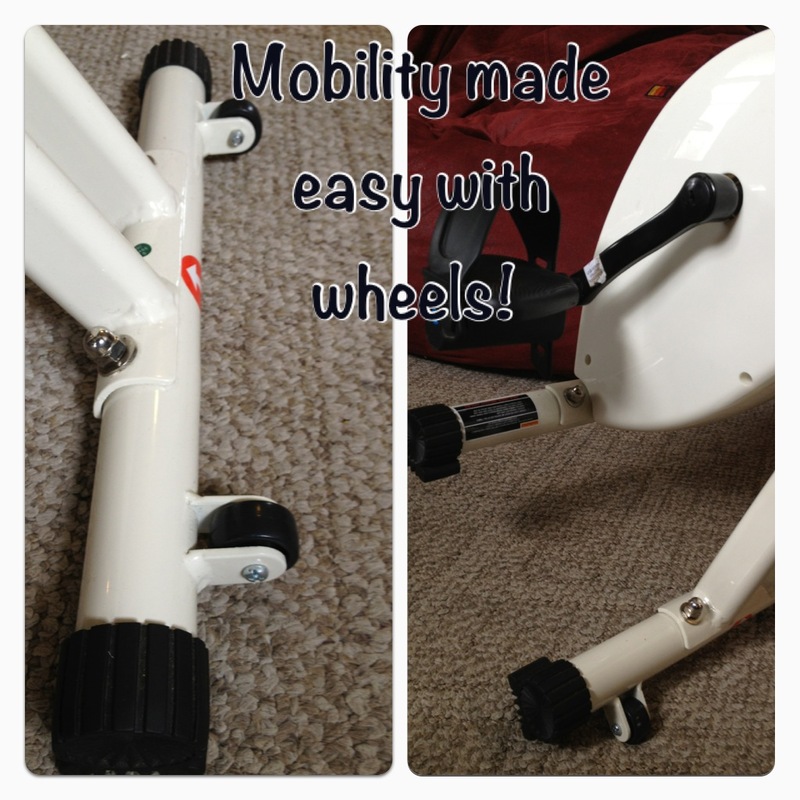 To fold up the FitDesk, you simply remove the pull pin and fold and reinsert the pin. The FitDesk weighs in at 30 lbs. Easy for me to carry around although its a bit awkward to carry, it is an option. You would think that an excercise bike that is slim and light weight would not be durable but I have found that it is quite well made. Mine has endured,without a problem, four boy spawn who love to climb and sit on it or ride it too. The whole family uses it which makes me happy! I mentioned how light the FitDesk is yet 30# is still quite a bit for moving about your space, but not to worry, it has wheels at the back that make it even easier to move around. Just tip back and roll into place. So, the FitDesk keeps us moving when we otherwise would have been sedentary. This is fabulous for me and others that are deskbound or just this day in age when there is so much media to consume. Its easy to move around and the price is reasonable as well at $249 with free shipping in the continental US. Until September 15th you can use discount code fd30 for $30 off your FitDesk!! You can find FitDesk on Facebook and also on Twitter. The folks at FitDesk are giving one of you a chance to win a FitDesk of your own! 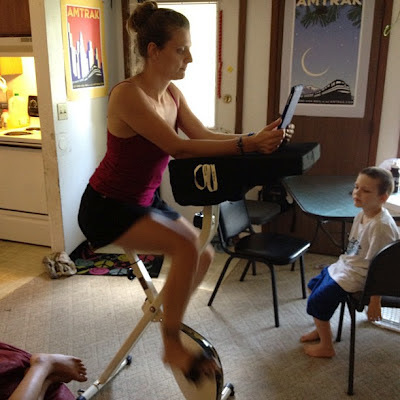 I would use the fitdesk since it's foldable in my livingroom while the kids are watching their own thing or at school. I normally bike in our basement but that's dingy and dirty and not welcoming. I also run and walk but I need a new environment! I've been thinking about getting a trainer to start biking indoors, but this would be a great alternative and I'd be able to easier multi-task working on the computer at the same time! I would love one of these. It would be perfect for cross training, and it's small enough to fit in my very tiny house. FitDesk would be awesome for those days when I don't feel like working out but don't feel like feeling guilty about not working out. I would so love to have one of these for my kid who needs to move to learn. I would definitely use it while watching TV, or while knitting. I've been doing a lot of knitting lately and it would be great to use during that too. I also would like to try it while catching up on work at home. This would be perfect in my house as I have a newborn and am fairly housebound at times. We also do not have a ton of space so to be able to pack it away would be very handy. I would use it while reading blogs :) and working at home on my laptop. I run but need to cross train to prevent injurys. I love the idea of moving my body all day instead of being sedintary. I would check email, read blogs and write. Love love love the idea! This is cool. I'm going to create a standing desk since I work from home most of the time, but this would be cool in addition to that. we hike, I would use it for work. 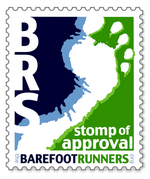 Would love to have it at the ofice... bet it would cause quite a stir!